Continuous increase in the size of PST file may lead into severe issues that may range from slow behaviour of MS Outlook to sudden shut down to the damage of the PST file. Before you face any such issue, it is always suggested to use the Split PST File software to avoid PST corruption because once the PST is damaged you may lose all emails, attachments, notes, contact, etc. stored in the PST file. Why put you on risk of PST damage when Split PST File tool is there to help you control the PST size? It is easy to use software that every MS Outlook user can install and execute. There is no need to be a technical expert in order to a large PST file into small PST files with this PST Splitter Tool. Stellar PST Splitter is such a beautifully designed tool that does not demand a technical expert to use it. Everyone, from a newbie to an expert, will find the interface of this software intuitive with notations that guide the user toward the PST splitting process. As the name of the software says, it can split PST file of any size into two or many PST files as per your requirements. 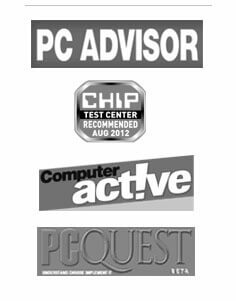 Whether your PST file is of 512MB, 1GB, 2GB, or more, this Split PST software has the capabilities to divide the PST into smaller PST files. With Split PST Files Software there is no need to worry about the quality of the Split PST files. You will get the same structure and quality as in the original PST file. Moreover, properties will remain the same. Also, attachments, images, etc. will remain intact in the respective emails. This is a handy tool using which you can ensure easy access to the split PST file. With this option, you can select the location where the software will save the split PST files. 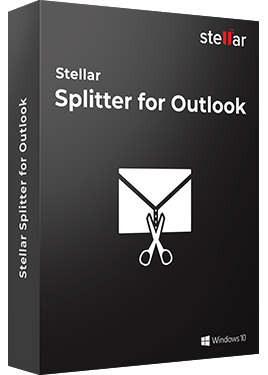 The Stellar Split PST file software can also automate the process of PST splitting. It lets you create batch files that can automate the PST splitting process. This PST file splitter from Stellar can be installed on Windows 8, 7, Vista, Server 2003, XP, or 2000. And, it can split PST files that are created with MS Outlook 2013, 2010, 2007, 2003, 2002, and 2000. Also, the split PST files can be opened with any version of MS Outlook.